Before we get to the replacement part, here are some of the symptoms. Overheating – we thought it is just normal given that every other iPhone of my friends gets warm(hot actually) especially when using 3G/LTE. Yes, it heats up more than Android smartphones. So we just brushed it off. Home Button – the home button became less responsive. Not actually hard to press but you have press deeper to go to your home screen. Popped-Out Screen – this one made my wife freak out in the middle of the night when the screen suddenly popped-out. It was still usable but there are gaping holes on two sides. Having experienced the same in our MacBook, I knew right there and then that the problem is the battery. I immediately searched for instructions how to change the battery of iPhone5 and when I saw that it only involves four to five screws, I ordered the battery replacement. Replacement batteries usually comes with four tools. You’ll need them. Pentalobe screw driver – this is for the two small screws at the bottom of the phone. Yeah, that weird looking screw. 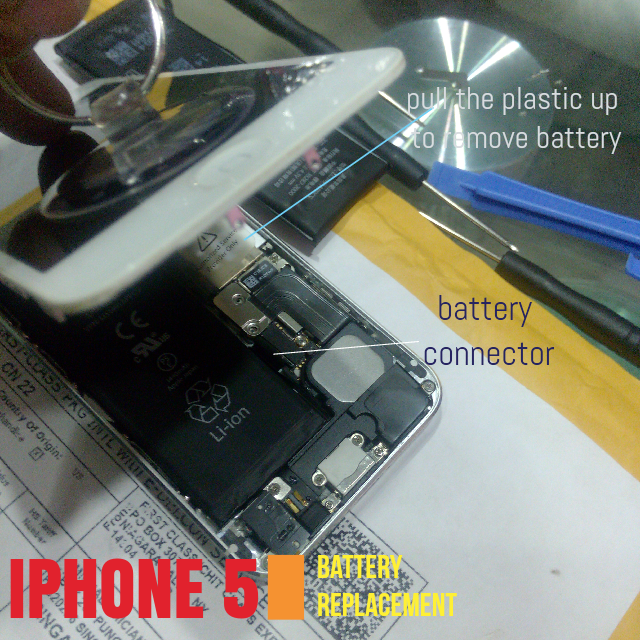 Philip screw driver – there are three small screws inside the phone for the cover of the battery connector. Suction cup – you’ll need this to pull the screen. Pick – in case you encounter difficulty pulling the screen, insert this between the opening. 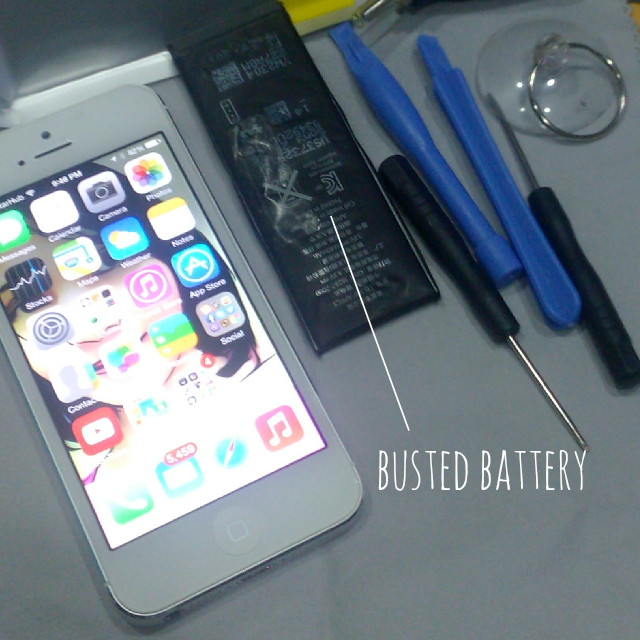 Here’s the video on how to replace the battery. It took me more than 5minutes, though. Interestingly, there are upsized batteries available on the net for iPhone5 with capacities up to 1850 mAh. That’s a little less than 30% increase than the origiinal 1440 mAh. Enough to last you a day for normal tasks. But alas, I opted for the OEM battery I bought from eBay. There are available items from Amazon like this and this but since I live halfway around the world, delivery charge is twice as much as the item I’m buying.